This certification is for those individuals who want to demonstrate that they understand Knowledge-Centered Service (KCSSM) practices and how they provide value. This certification ensures a consistent understanding of the KCS methodology for everyone in the organization. Julie Mohr is a dynamic, engaging change agent who brings authenticity, integrity, and passion to practitioners worldwide. Through her books, articles, speaking, consulting, and teaching, her purpose is to spark change in the world with thought-provoking dialogue and interaction. Julie is currently pursuing her PhD in management and organizational leadership in Information Systems & Technology from the University of Phoenix; she received her MEd from the University of Phoenix and her BS in computer science from The Ohio State University. She is an ITIL Expert, Certified Help Desk Director, and Certified Governance IT Professional. 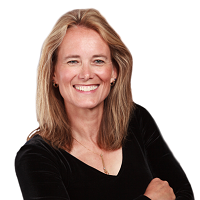 Julie captivates audiences at conferences worldwide on topics of authentic leadership, business strategy, knowledge management, organizational culture, and innovation.